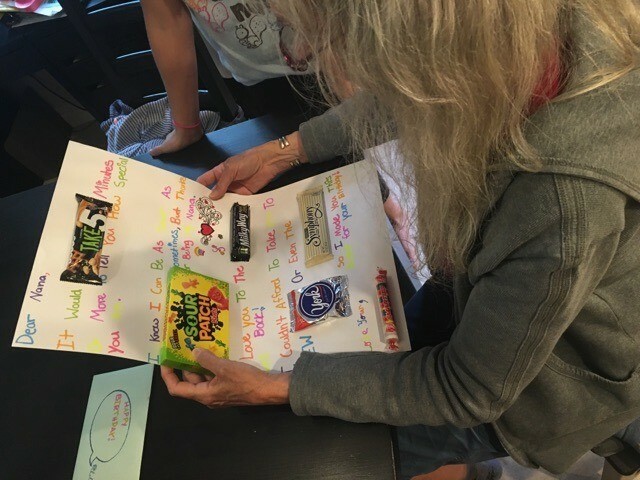 My daughter wanted to make something to give her nana on her birthday. 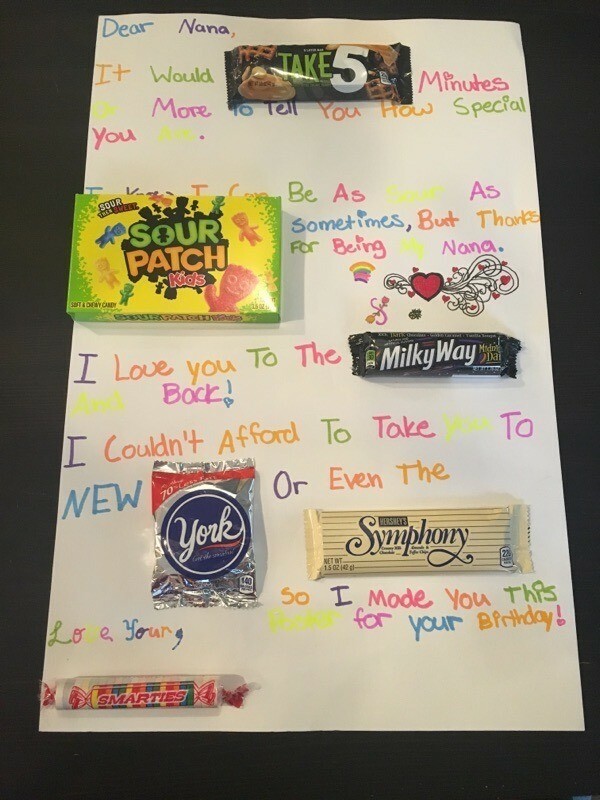 After searching Pinterest she decided to make her a candy poster. It was very fun to pick out the candies and find a way to use each one! It would (Take 5) minutes or more to tell you how special you are. I know I can be as sour as (Sour Patch Kids) sometimes, but thanks for being my nana. I love you to the (Milky Way) and back! I couldn't afford to take you to New (York) or even the (Symphony) so I made you this poster for your birthday. Super cute idea ! :) I will make one too. As the nana in question, I love it and am carefully opening the candy so that the wrappers remain in place. Got to save such a thoughtful gift.